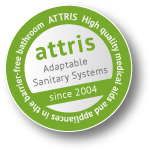 Attris – “adaptable sanitary systems” stands for high quality medical aids and appliances in the barrier-free bathroom and elderly accessible sanitary facilities – for people with health problems through to disability. Whether disabled toilet, toilet lift, stand-up support, lift basin or mobile chair/commode – all our sanitary facilities and medical aids and appliances make the visit to the bathroom and hygiene requirements easier and encourage “helping people to help themselves”. Long term care patients regain their mobility and independence in everyday life – for a self-determined and self-contained life. Founded in 2004, our international company has been working for a decade now on the synergy of function, innovation and designs that combine the practical with the exceptional. Our offer is addressed to individuals, commercial customers and public organizations. 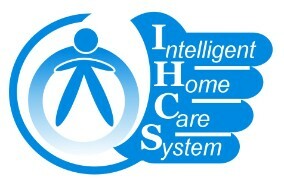 Our experts would be pleased to provide you with more information. From price quotes of the listed products through to custom-made medical aids and appliances – feel free to contact us!